Andrew is a portfolio manager and co-head of Walker Cambria. 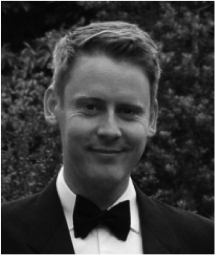 Originally from Carmarthenshire, Andrew has spent the majority of his career working in the City of London as a fund manager at Mitsubishi-UFJ Asset Management where he specialised in UK and European equities. Latterly, he worked in global equities at BlackRock, the world’s largest asset manager. Upon returning to Wales, Andrew managed private client portfolios for Brewin Dolphin. Andrew's professional qualifications include the Chartered Financial Analyst designation and the Investment Management Certificate. He also holds a Master of Arts Degree in Modern History from University College London. Photo and bio to follow. 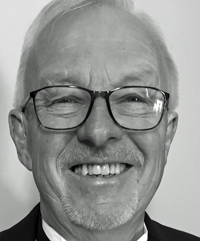 From 2004 to 2011, as Founder, Executive Chairman and Commercial Director, Brian successfully guided Bluefish from start up to over £10m turnover and trade sale. The business was sold to Vodafone. Brian also has more than 20 years’ experience in utilities, telecoms and IT. Previously sales and marketing director at Alcatel and East Midland’s Electricity; set up and ran Powergen's £45m turnover, 650 people Metering Business which was sold to Siemens; Operations Director for a business serving 2.3m customers; and CEO at Cambridge Network Ltd. Brian is also a PRIME Cymru Mentor and has been since early 2015. Ruth Lowbridge is an entrepreneur with over 25 years experience of starting and running a range of small businesses including a management training consultancy, conference centre, software company and a sandwich takeaway business. As Executive Chair of the SFEDI Group she now co-owns and leads a group of companies all focussed on developing the enterprising skills of individuals looking to start, survive and thrive in their own business. The group includes SFEDI, the Sector Skills Body for Enterprise and Enterprise Support, SFEDI Awards the Ofqual Approved Awarding Organisation with over 150 delivery centres throughout the UK and the first institute dedicated to the development of enterprise learning and skills, the Institute of Enterprise and Entrepreneurs (IOEE). Stephen is managing director of Commercial Finance and Banking for UK Finance, the financial sector's trade association, represents the UK on business finance in Europe and is director of UK Business Angels Association. He has worked in the financial sector for 35 years and for 10 years, he chaired the SME advisory board of the British Bankers' Association, one of the constituents of UK Finance. Stephen led the establishment of the UK's framework for volunteer enterprise mentoring and was chairman of PrIme Cymru for 9 years between 2014 and 2017. 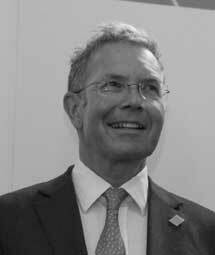 Stephen read economics at UCL and has professional qualifications in banking and marketing. He lives in North Somerset with his wife Cordelia, a senior partner of a large medical practice and divides his time between London, Wales and the South West. Carolyn Oliver-Hall is a qualified executive coach and change management practitioner, together with having a 35 year career working in Human Resources. 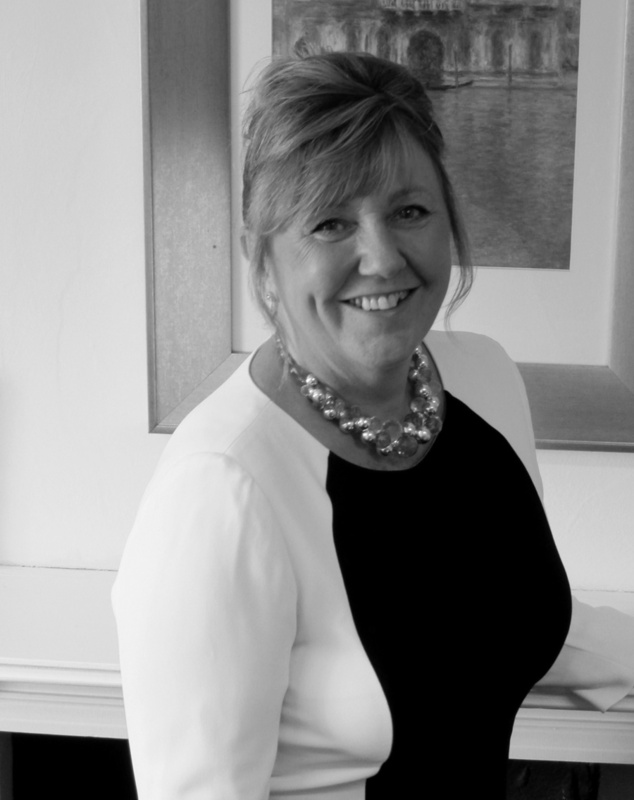 Carolyn is a Chartered Fellow of the Chartered Institute of Personnel & Development (CIPD) and holds master degree level qualifications in Advanced Employment Law, Coaching & Mentoring, Change Management and Workplace Mediation. Utilising her coaching and mentoring experience, Carolyn is a volunteer mentor for the CIPD Steps Ahead programme and for the Women in Universities mentoring scheme (WUMS); an innovative all-Wales scheme promoting leadership for women in the university sector. Carolyn has worked for organizations in the private, public and NFP sectors and currently works as the UK Head of HR for an international, NFP education organization based in Cardiff. Passionate about coaching and guiding others to build on their skills, and learn new ones, Carolyn was attracted to PRIME Cymru for its ethos and mission and is delighted to have been chosen as one of its Trustees. Originally from South London, Carolyn has lived in areas of North Yorkshire and Essex before settling in Wales in early 2014 and lives in a village located on the edge of The Gower Peninsula. Sarah has recently embarked upon a new stage in her career herself in her 50s and works freelance in the careers, skills and employment sector after a varied and successful career of more than thirty years in the Career Guidance sector. Originally from Brighton , she has lived in Anglesey for over 30 years and has learnt to speak Welsh. She has two grown up children. She is excited about her new role as a trustee of PRIME Cymru and looks forward to supporting this great charity and spreading the word about the work that they do. Annabel was appointed a Trustee of PRIME Cymru in 2018. She is a barrister specialising in planning and environmental law. Recent work has included acting in the planning inquiry into the new section of the M4 around Newport. She seeks to bring her legal experience to the Board of Trustees. She lives with her family near Llandovery and is Mayor of Llandovery for 2018 – 2019. In her spare time, Annabel plays the cello and piano and is also a Trustee of the London Sinfonietta, the UK’s premiere contemporary music ensemble.